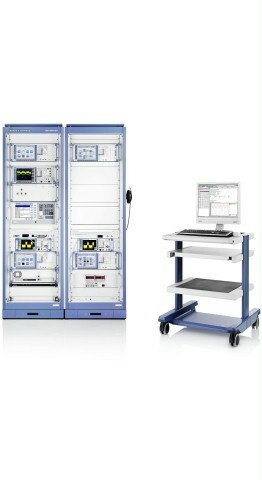 The R&S®TS8970 is the reference tool of choice for the RF characterization of Mobile WiMAX™ products. Many of the WiMAX Forum® Designated Certification Labs (WFDCL) successfully rely on the R&S®TS8970 in their certification work. From pre-sale to service. At your doorstep. 1) Does not apply in ISO 17025-certified environments (one-year interval). The R&S®TS8970 is the reference tool of choice for the RF characterization of Mobile WiMAX™ products. Many of the WiMAX Forum® Designated Certification Labs (WFDCL) successfully rely on the R&S®TS8970 in their certification work. The test system has also become a lab favorite in the precertification of products at manufacturers of WiMAX™ infrastructure and mobile stations. 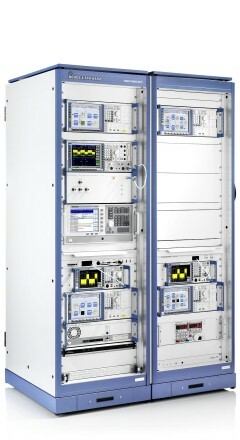 Owing to the complexity of the simulation of MIMO channels, the R&S®TS8970 is also frequently used in the WiMAX™ R&D lab. The R&S®TS8970 enables users to test a Mobile WiMAX™ base station (BS) or a Mobile WiMAX™ mobile station (MS) and is available as a combined system with BS/MS switchover. The test cases offered reflect the current version of the WiMAX Forum® Mobile WiMAX™ Radio Conformance Test (MRCT) specification. A full 12 months is the recommended calibration interval for the R&S®TS8970. However, every component in the test system is specified for a two-year or longer calibration cycle. This permits many R&S®TS8970 users1) to determine the optimum calibration period based on individual requirements. The ultimate customer benefit of this long calibration interval is an absolute minimum in downtime. The R&S®TS8970 RF conformance test system complies with the requirements stipulated in V3.0b of the MRCT specification for the test cases described in this document. Specifications are applicable for a calibrated R&S®TS8970 system under normal operating conditions after RF calibration and two hours of warm-up at ambient temperature. The performance of the R&S®TS8970 is based on the technical specifications1) of the individual instruments and components within the system. The uncertainties for the R&S®TS8970 system are described in the document "R&S®TS8970_2_Uncertainty_Calculations". The uncertainty is calculated and made available individually for each test case. The values listed apply at the DUT port(s) of the R&S®TS8970. 1) See table “Overview of technical specifications for devices used in the system”. 3) Air conditioning is strongly recommended. 4) The performance of RF calibration (RFC) on a yearly basis is recommended. RFC is independent of the requirement to perform individual device calibrations. 5) The protective conductor current for instruments must not exceed 3.5 mA. 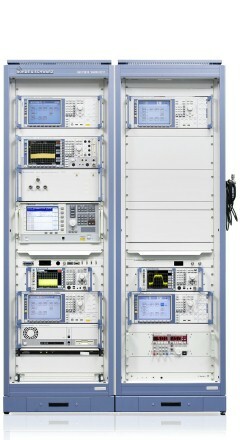 When several instruments are integrated into a test system, this limit value may be exceeded. In this case, make sure that the system is additionally grounded or is connected only via an IEC 60309-compliant connector. With OFDMA transmission technology, multiple signals are transmitted simultaneously on a large number of carriers that are spaced at precise frequency intervals. OFDMA benefits include higher spectral efficiency, resilience to RF interference and reduced requirements with regard to power control accuracy. For a MIMO application, the critical benefit of OFDMA is its inherent robustness against fast multipath fading. OFDMA methods are an essential part of almost all new transmission methods that are in the planning or implementation phase. The generators and analyzers in the R&S®TS8970 allow users to enable standards not based on IEEE 802.16e-TDD by means of key codes. The structure of the R&S®PASS user interface allows users to program their own test scenarios for further OFDM-based wideband applications. Earlier generations of mobile communications systems concentrated on manipulating the usage of both frequency and time to maximize data throughput. The variations caused by multiple signal paths were regarded as a disadvantage (“fading”) to be minimized. With the benefits of today’s higher computing power, multiple-input, multiple-output(MIMO) antenna technology deliberately uses multiple signal paths to transmit data more reliably and/or to increase data throughput. The R&S®TS8970 permits the simulation of 2x2 MIMO scenarios as defined in the MRCT specification and is prepared for higher order MIMO.